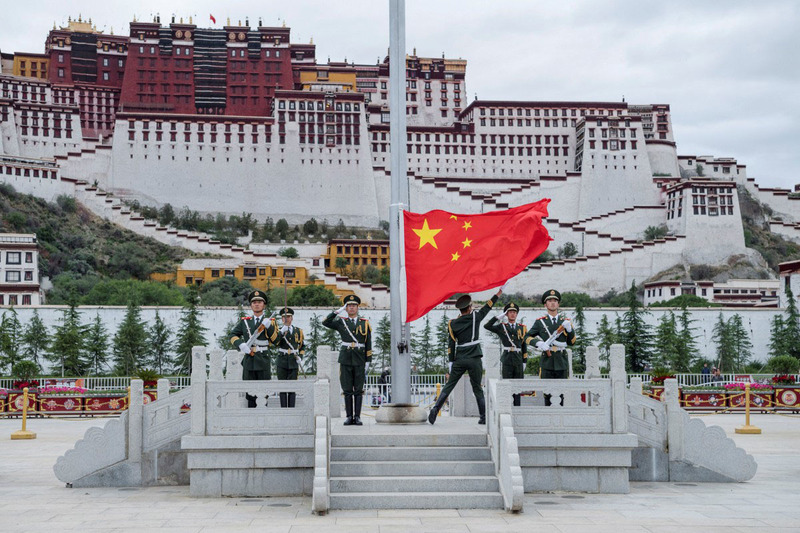 China’s construction of underground bomb-proof shelters to house fighters at Lhasa’s Gonggar airport in the Tibet Autonomous Region (TAR) has New Delhi concerned, said three officials familiar with the development who asked not to be identified. Gonggar airport is just 1,350 km away from New Delhi. The three officials, all in the security establishment, claimed the airfield earlier meant to boost “regional connectivity” is being turned into a military airbase. One of the officials said a “taxi track” from the airstrip leads to blast- or bomb-proof hangers dug deep inside the mountains nearby. The facility, according to the three officials, can hold around three squadrons of fighters or about 36 aircraft. Relations between India and China have warmed in recent months. PM Narendra Modi visited Wuhan for an informal summit with Chinese president Xi Jinping where the two leaders committed to bettering ties. The rapprochement came after the Doklam crisis last year, where troops of both countries were engaged in an extended stand-off. Despite this, though, the security establishments have kept a close eye o n each other’s capabilities. “You need blast- or bomb-proof hangers for fighters only if there is a possibility of hostilities. Fighters kept in the open are vulnerable to attacks during hostilities, therefore they are kept safe inside bomb-proof shelters. When required, they are pulled out of the shelters and launched,” the second official said, explaining the need of bomb-proof shelters. The People’s Liberation Army (Air Force) has such facilities along its border with Russia and the underground bomb-proof facilities along the India-China border in the TAR region is a “new development,” the third official said. Adding to New Delhi’s discomfort, the officials said, are Surface-to-Air Missile (SAM) bases near some of the airfields that are being augmented and expanded along with helicopter bases. For instance, the SAM base near the Shigatse airfield situated across Sikkim has also been augmented. New state-of-the-art helicopter bases that allow helicopters to take off and land with full payload — in aviation parlance, this is called “in-ground effect take-off and landing” — have also been noticed by the Indian security establishment. Typically, when aircraft take off from high altitudes, they need to decrease payload to account for the rarefied air that reduces drag and lift. Such bases have come up at Shigatse and Lhasa. The security establishment in New Delhi has been informed about the bomb-proof hangars for fighters, the officials confirmed. “It appears that China is improving its defence infrastructure. India, too, should improve its defences and have built-in redundancies to cater for any exigencies,” said Lieutenant General SL Narasimhan, member of the National Security Advisory Board (NSAB), a body of experts that advises the Union Cabinet and the National Security Council. India has been upgrading Advanced Landing Grounds (ALG) along its northern borders. These temporary airfields located in Walong, Mechuka, Tuting, Pasighat and Ziro in Arunachal Pradesh were built during the Second World War and have now been refurbished. The Chinese Embassy in New Delhi did not respond to queries on the hangars.